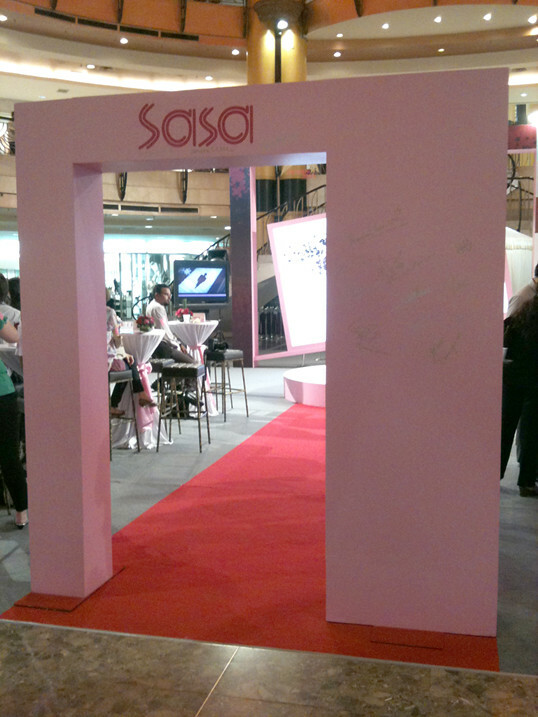 On 1st October 2010 I was invited to attend the Sa Sa Fragrance Award Presentation held at Sunway Pyramid. 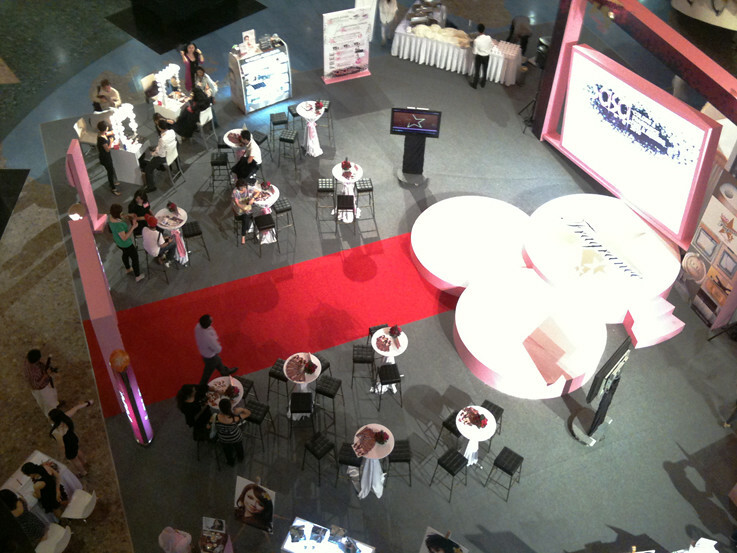 The event had a pretty interesting concept as awards are given to popular fragrances, voted by Malaysian consumers throughout a 38-day duration via a microsite. If you’ve never came across the brand before, Sa Sa is a one-stop cosmetic specialty store with over 29 outlets throughout Malaysia. Sa Sa originated from Hong Kong has been in the Asian market since 1978, carrying a variety of beauty products from skincare, makeup, haircare, fragrances, health food and even beauty accessories. What captured my attention in this event is that Sa Sa managed to find a specific area in their business operations and used it as an opportunity to engage consumers, to get their customers involved and be rewarded for their support. They transformed their stores nationwide into an engagement platform instead of mere sales outlet. The outcome? They managed to gather 38,436 votes which also means they successfully engaged close to 40,000 customers through this campaign alone - just by leveraging on their day-to-day operations. How so? 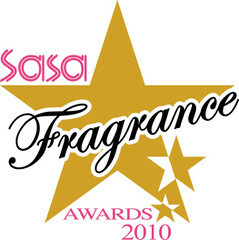 Sa Sa first identified 6 award categories for the fragrances in which the consumers will have to cast their votes accordingly, namely: Best Women’s Fragrance, Best Men’s Fragrance, Best Couple Fragrance, Fragrance of the Year 2010, Special Colorscentsations Award and the Online People’s Choice Award. To create an engagement opportunity, Sa Sa threw in a PULL mechanism in which voting customers, in return, will stand a chance to win prizes including a Designer Diamond Necklace worth over RM8,000 + RM2,000 Colors & Fragrance product hamper as the grand prize! 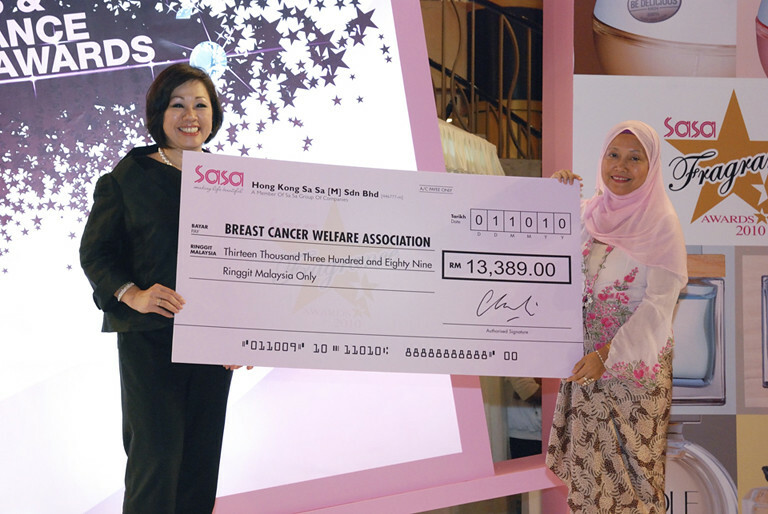 If that isn’t much of a PULL to you, Sa Sa also donated RM 1 from each bottle of fragrance sold during the campaign to the Breast Cancer Welfare Association (BCWA) amounting to RM13,389 in total! Back to the event! Invited guests were given the privilege to place an autograph on the entrance arch which was a pretty cool idea as it is a subtle way of appreciating the guests. However, such privilege can easily be abused by the guests, minimizing the brand’s appeal thus brand precautions should have been taken into consideration. Take a look at the picture towards the left (click to enlarge) – as you can see, there are a number of autographs already on the arch coupled with a grand red carpet entrance. Just above the arch sits Sa Sa’s logo, and it has obtained a ‘new tagline’ (i.e. guest autographs). From a branding perspective, that may not be the best thing to portray to the public as the brand should always have a ‘breathing space’ to avoid congestion and misinterpretation of the brand image.